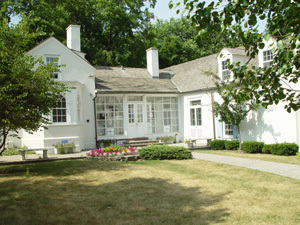 Beginning in 1975, The David Adler House in Libertyville, Illinois was home to many folk music activities. The David Adler Cultural Center was incorporated in 1983 as a not-for-profit, merging the Libertyville Arts Center (founded 1957) and the Libertyville School of Folk and Old-Time Music. The School's founder, Doug Miller, became director of Folk Music Programs, and then Executive Director in 1990. Martha Tyner and Stuart Rosenberg followed as Folk Music directors. My involvement with Adler House began in 1987 when I was hired for a fieldwork survey of Traditional Music in Waukegan and Zion. In 1989 and 1991, I was project folklorist for In the Tradition. 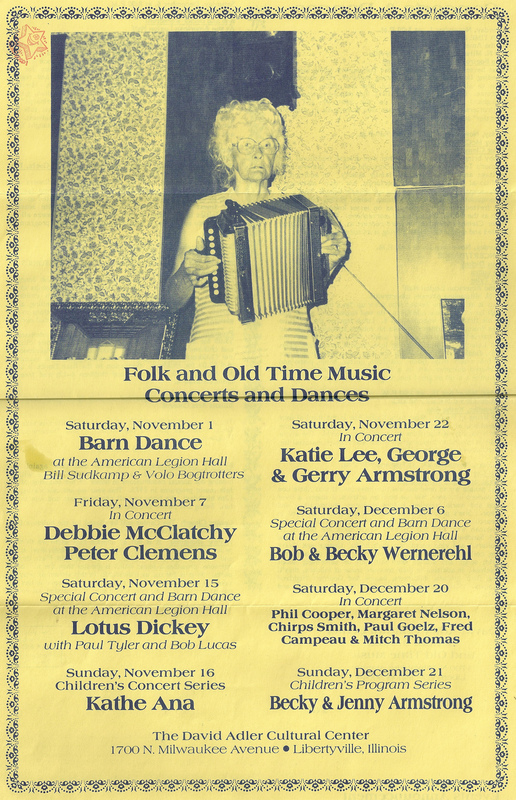 Then, in 1993 I became Program Director for Folk and Ethnic Music, and stayed involved through 1999.